NEW Art and Cyber Monday Deals! I just added over 30 new pieces to the site and ALL of them are included in the sale! 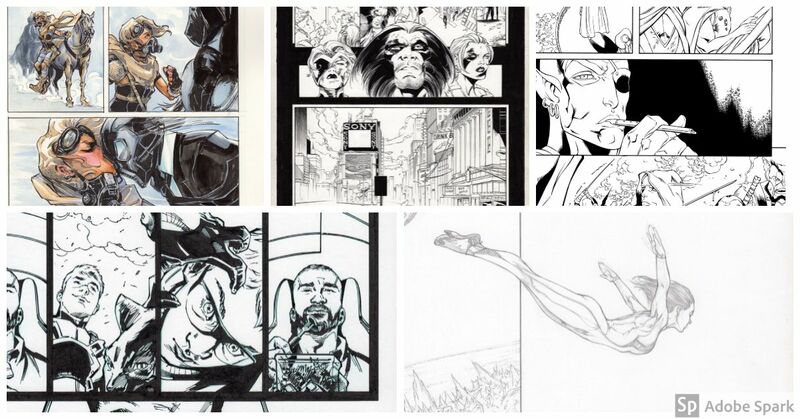 I've added new art from Joe Benitez, Marco Galli, Alex Konat, Siya Oum and Joe Weems! The Sale details are below so you can double check the details! Remember prices on the site are the regular price, so discounts are applied when you request your purchase. 50% off Lola XOXO Wasteland Madam CGC book, only $60! Spiderverse CGC Color and B/W variant together for only $150 for the pair! The Art of Erica Lyn Schmidt 2017 Art Book 50% OFF! only $12.50!